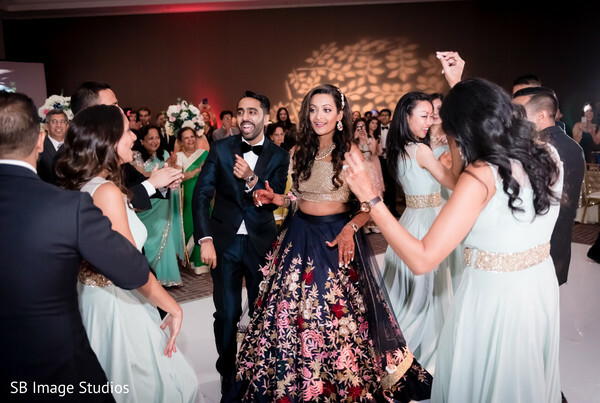 The wedding car drove off with the newlyweds and headed towards the JW Marriott Austin to get the party started! 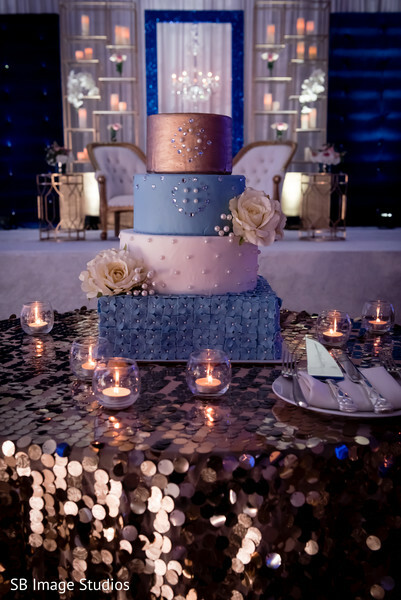 The new Mr. and Mrs. had the talented Yara Castelan from Unique Design & Events create a fantastic blue and gold environment for their wedding reception. 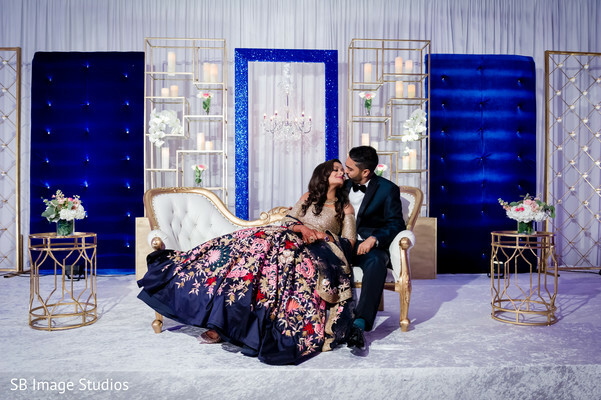 The party site was festooned with amazing whimsical tall flower centerpieces and a modern sweethearts stage was built for the crowd to admire the handsome couple! 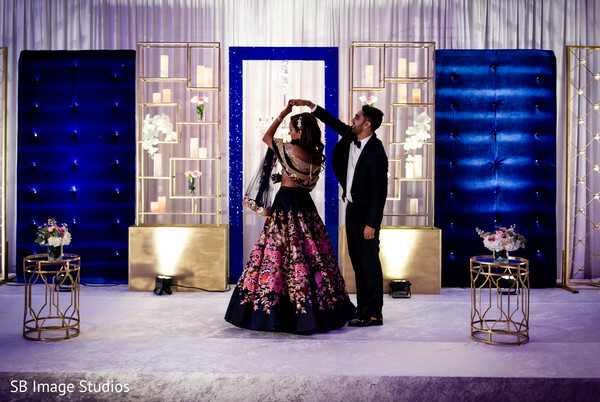 The amazing uplighting and dance music of Desi Junction DJs provided a high energy for the many choreographies performed in honor of the union and gave the night a fantastic Bollywood flair! 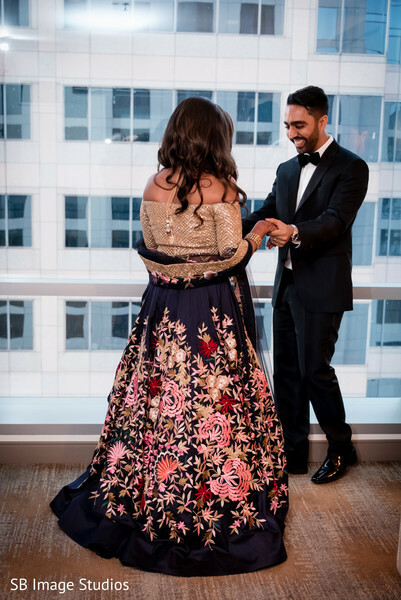 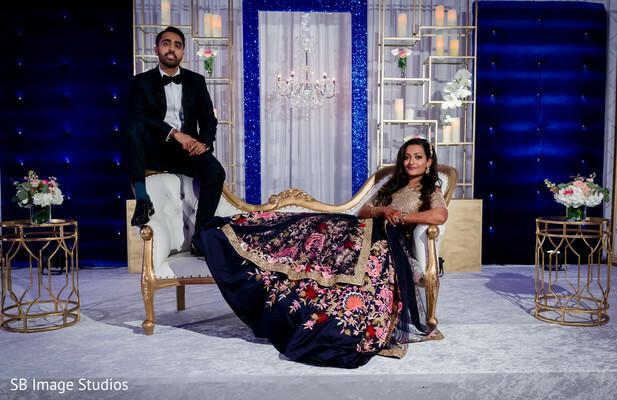 To dance the night away, Aneesa was once again perfectly dolled up by Glam Team USA and slipped into a unique blue and gold lehenga choli set! 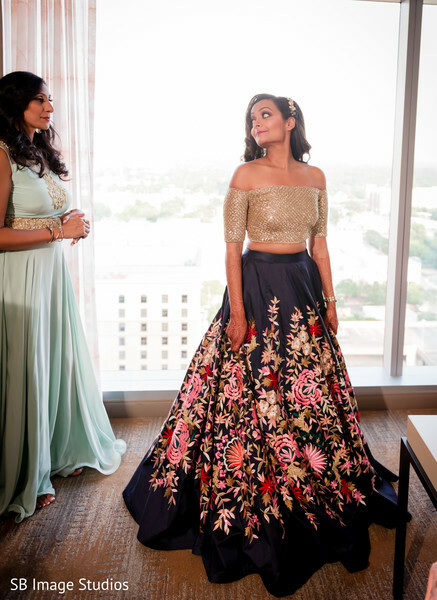 I must confess that I’m still in of for the bride’s fabulous lehenga design! 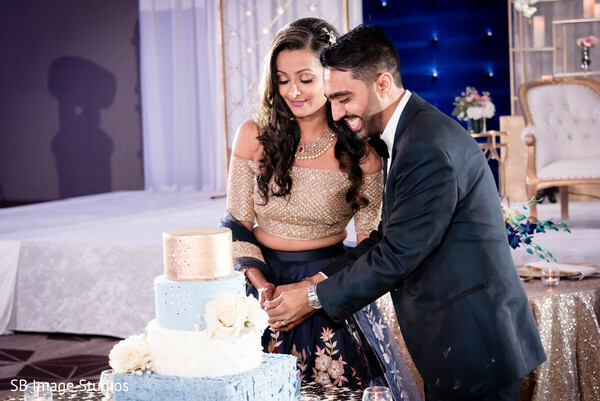 The highlight moment of the night was protagonized by Aneesa and Franky and a lovely four tier tri-color elegant cake that our cute pair sliced and fed each other with a small bite of it! 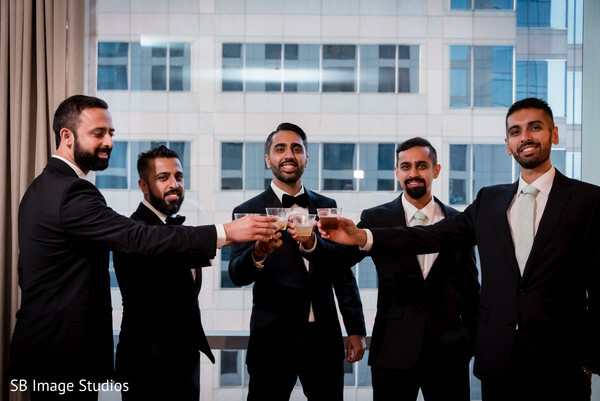 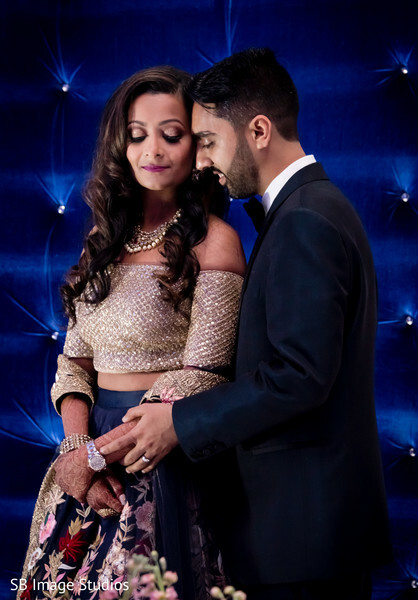 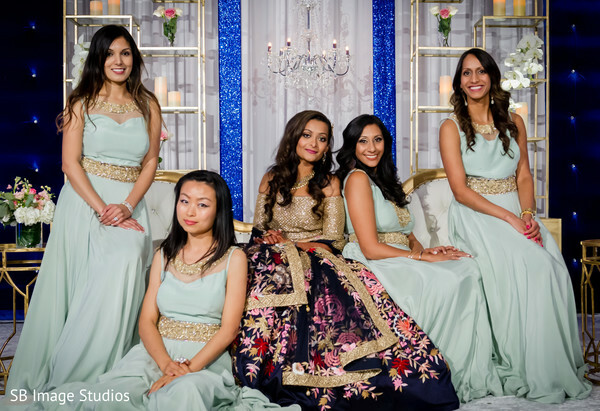 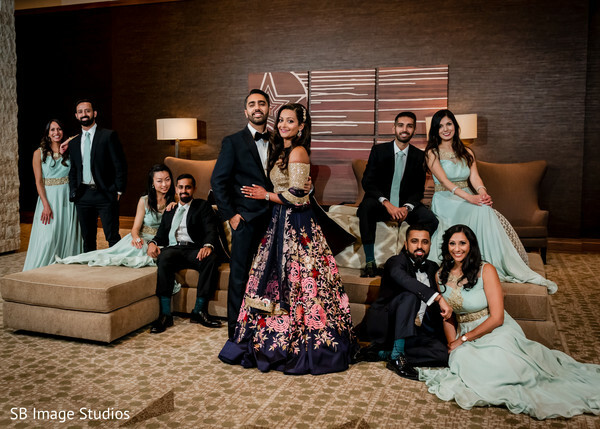 We are so glad that SB Image Studios got an invite to document this gorgeous Ismaili marriage and shared with us the best moments all featured in our full gallery!